Going into the final season of Game of Thrones, Emilia Clarke has a story to tell — one that, remarkably, had never hit the mainstream press in a significant way. In the midst of playing one of television’s most-iconic characters in Daenerys Targeryan, she was at the same time fighting for her own survival. She was trying to emerge with her own life intact. Even before we began filming Season 2, I was deeply unsure of myself. I was often so woozy, so weak, that I thought I was going to die. Staying at a hotel in London during a publicity tour, I vividly remember thinking, I can’t keep up or think or breathe, much less try to be charming. I sipped on morphine in between interviews. The pain was there, and the fatigue was like the worst exhaustion I’d ever experienced, multiplied by a million. Following season 3, she learned that there was another aneurysm that would require surgery and what followed after that was yet another long recovery process — one that left her hospitalized and dealing with dark days, wondering in part if she was going to make it through. She has, she’s healthier now, and she’s embraced by all the world over. It’s a devastating but powerful story to read, but in part it does help further illustrate Emilia’s humanity, coupled with why she seems to carry with her a natural enthusiasm and zeal for life. We’ve seen it in so many interviews and even in social-media posts for her. There’s an understanding of what she almost lost and drive to keep living and making the most of every moment. Clearly, she’s done that. Even while playing Daenerys and dealing with these health struggles, she’s done a number of movies and theater gigs during her off months from Game of Thrones. On the other side of this series’ completion, there’s no doubt in our mind that other work will await her. 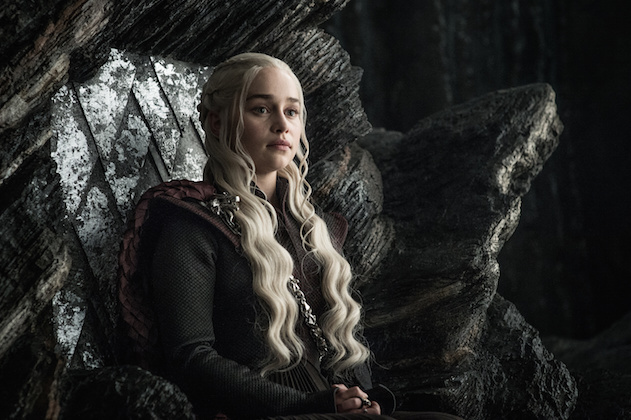 It largely comes down to what she wants to do — but for the next couple of months, she’ll have a chance to reign supreme as the Mother of Dragons. It just comes down to what happens with those White Walkers and if anyone survives … and there are already enough theories out there about that. Did you see the episode lengths for some of the final episodes? If not, we recommend heading over to the link here and checking out that story! You can also share in the comments what you want to see from Daenerys throughout the final season of Game of Thrones, and also the powerful story Clarke shared today.